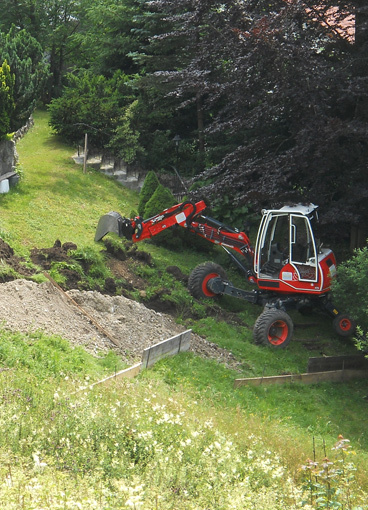 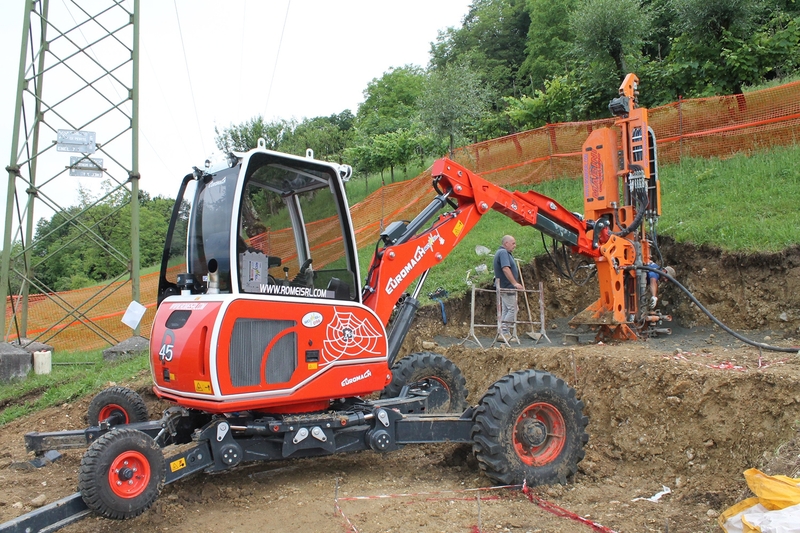 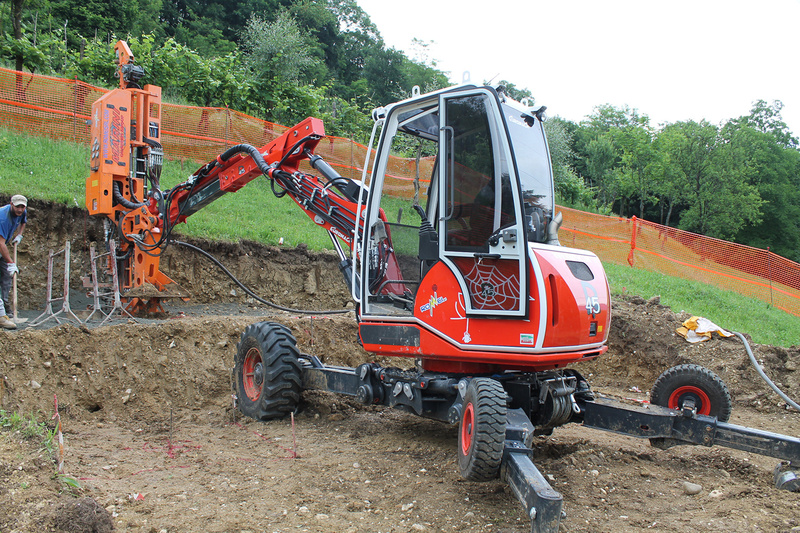 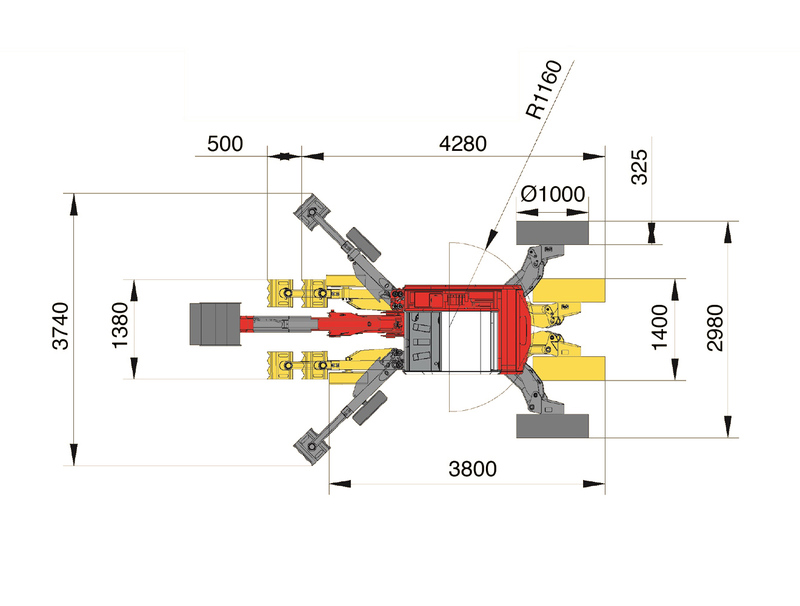 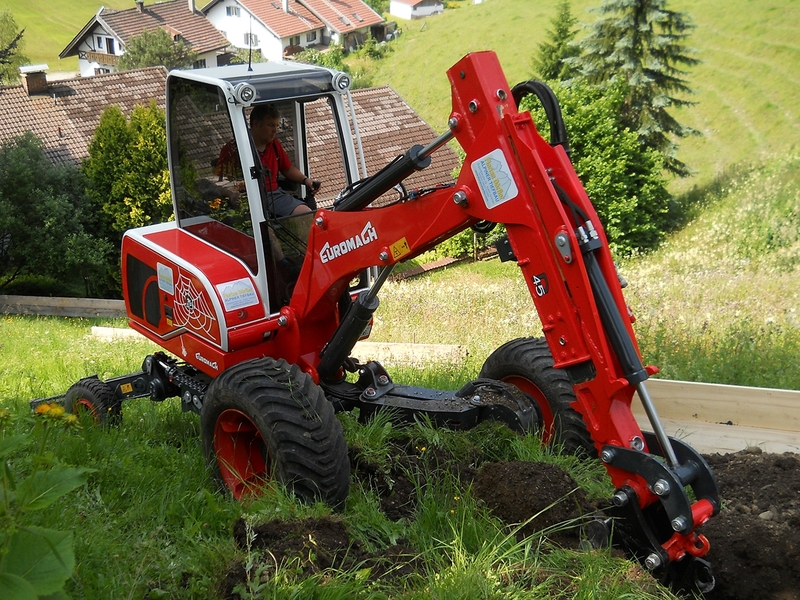 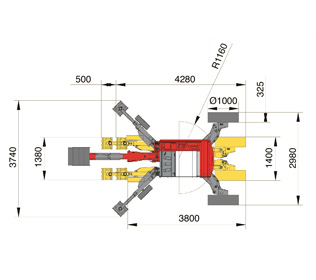 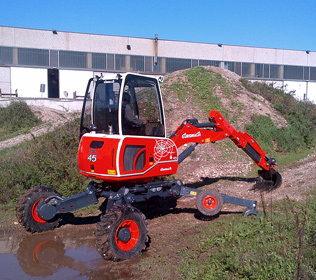 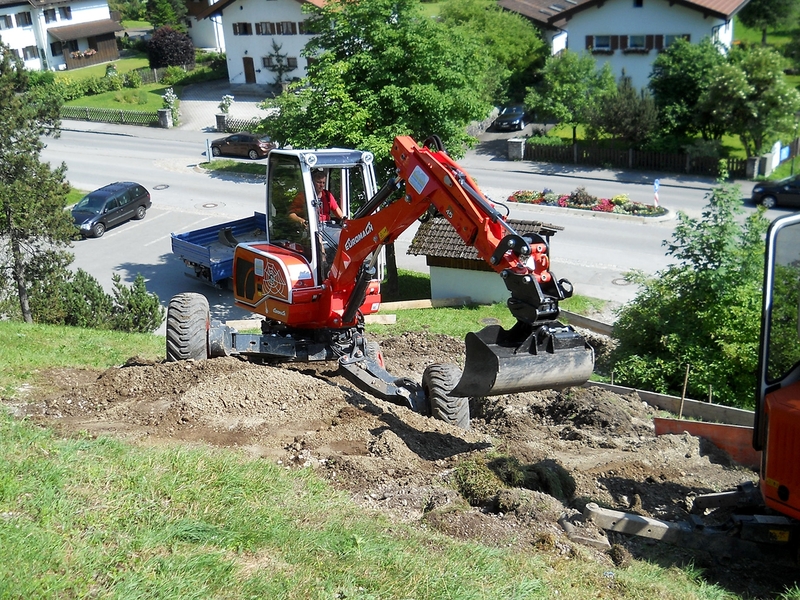 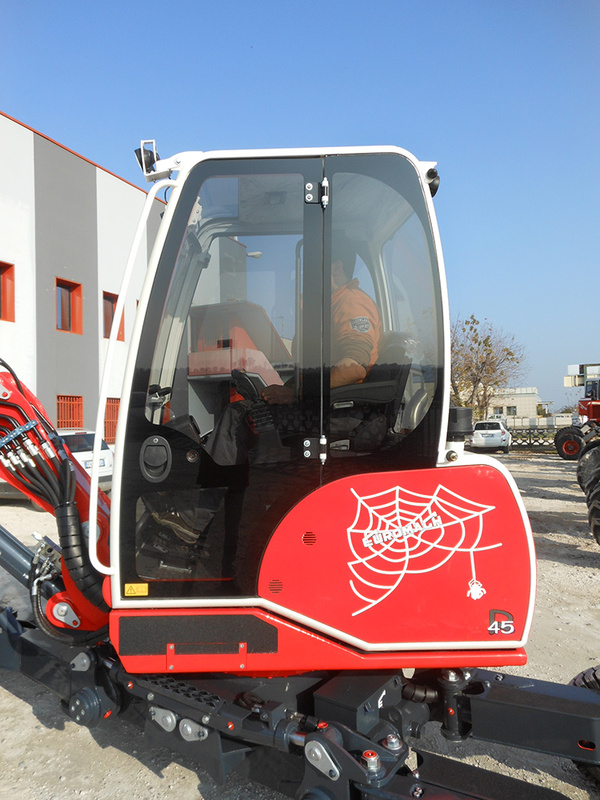 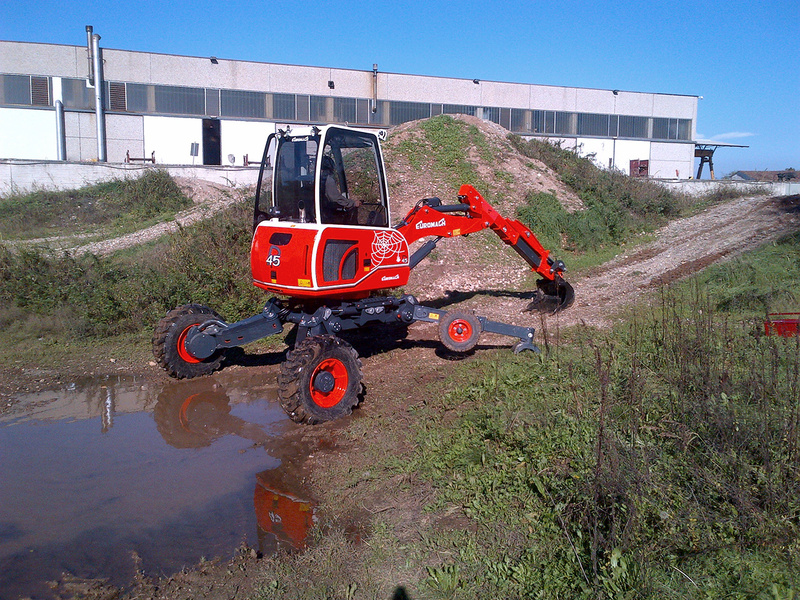 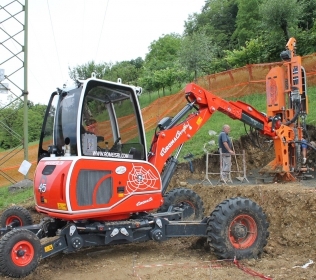 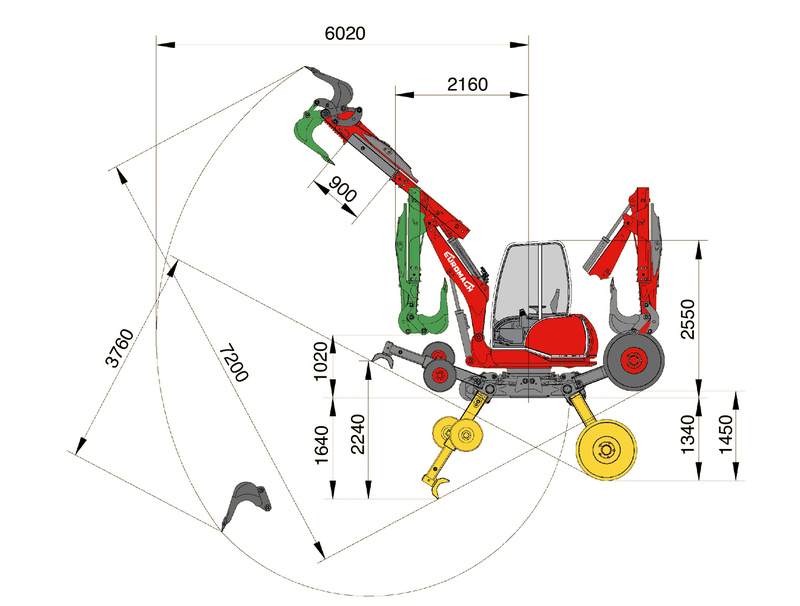 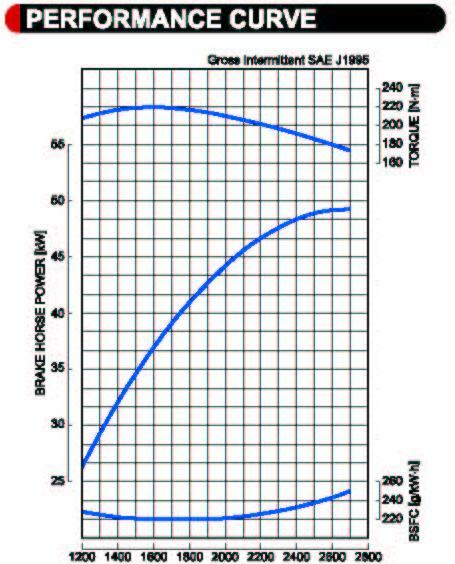 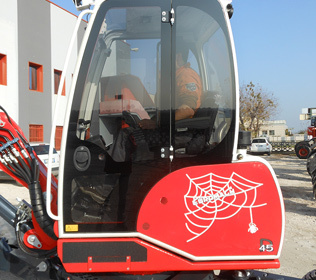 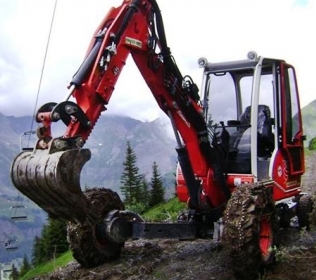 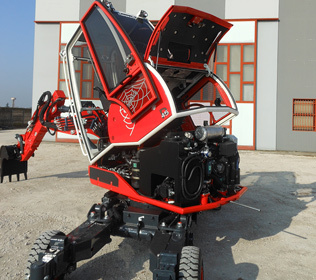 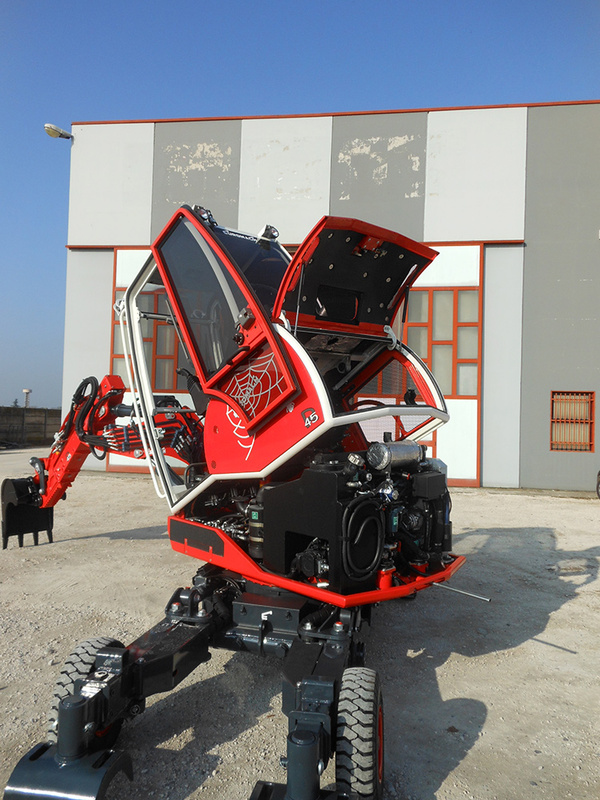 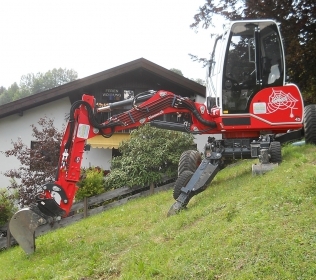 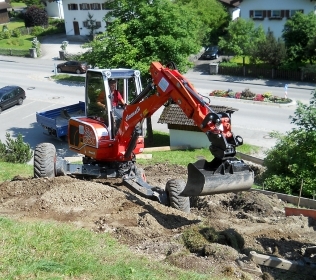 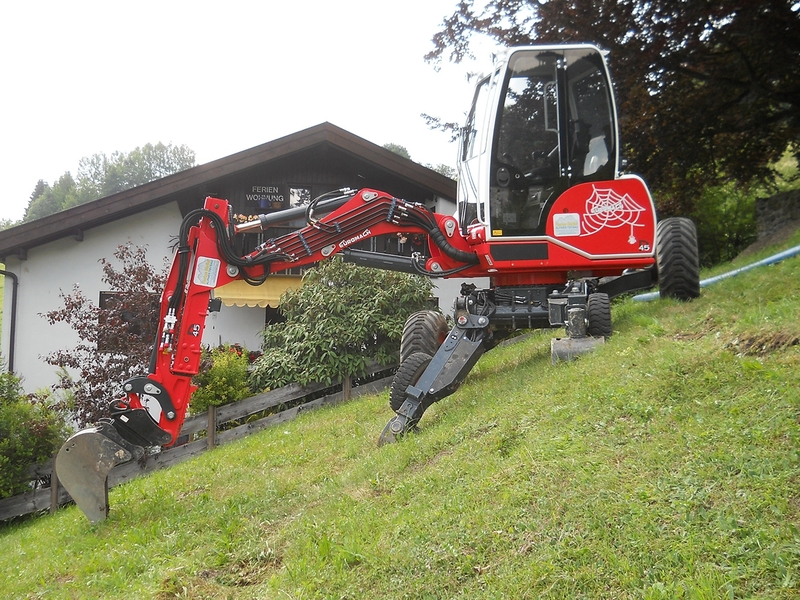 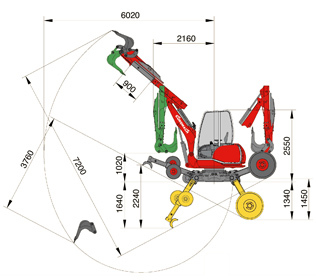 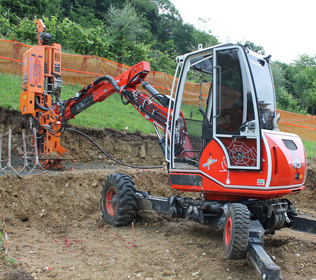 The aim of R45 spider excavator is to have a high ratio power/weight. 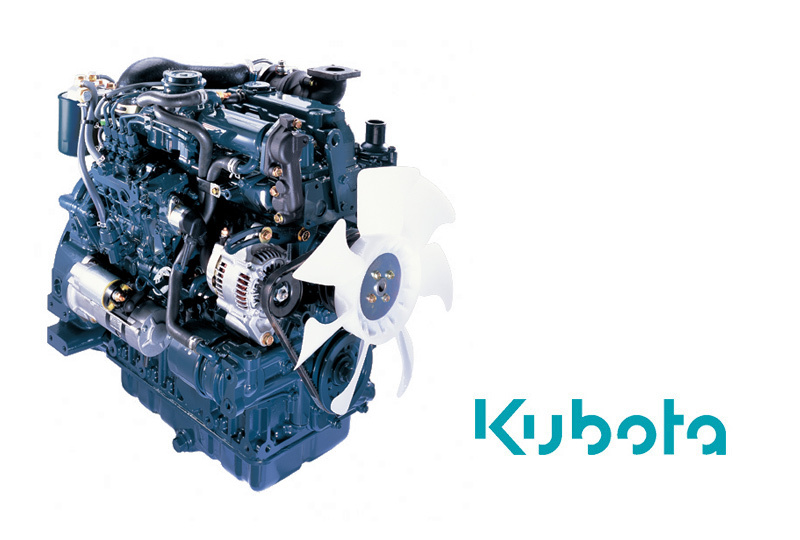 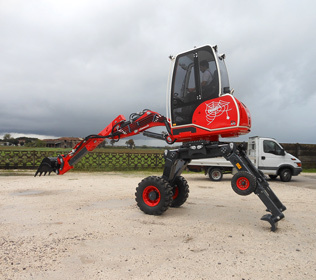 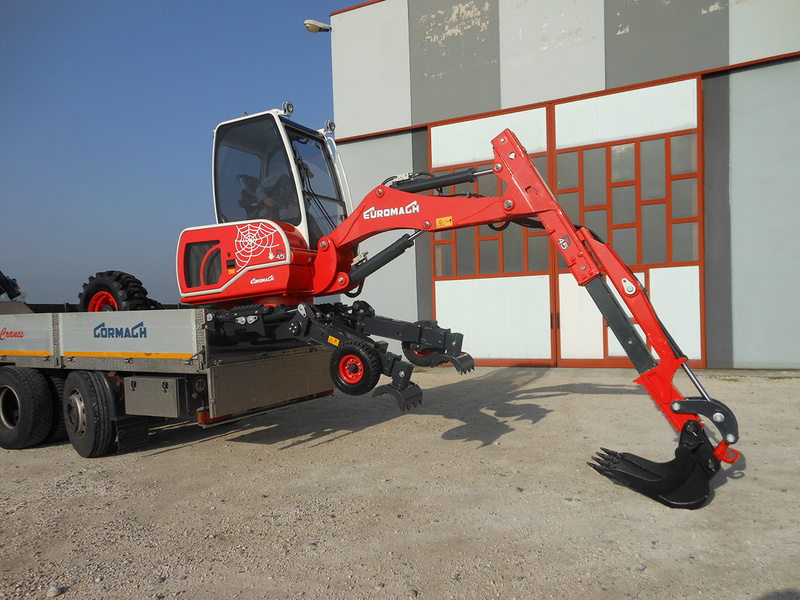 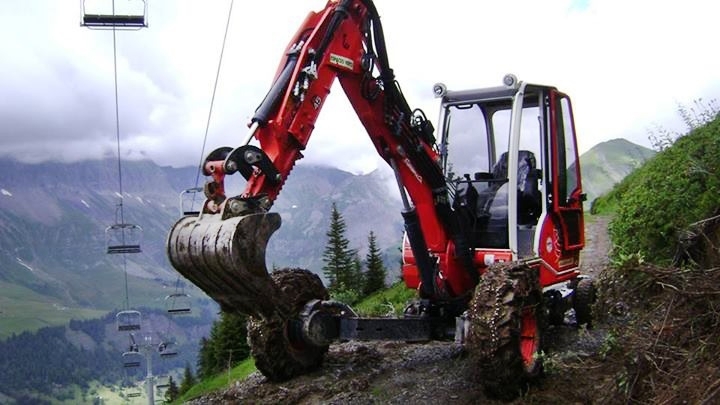 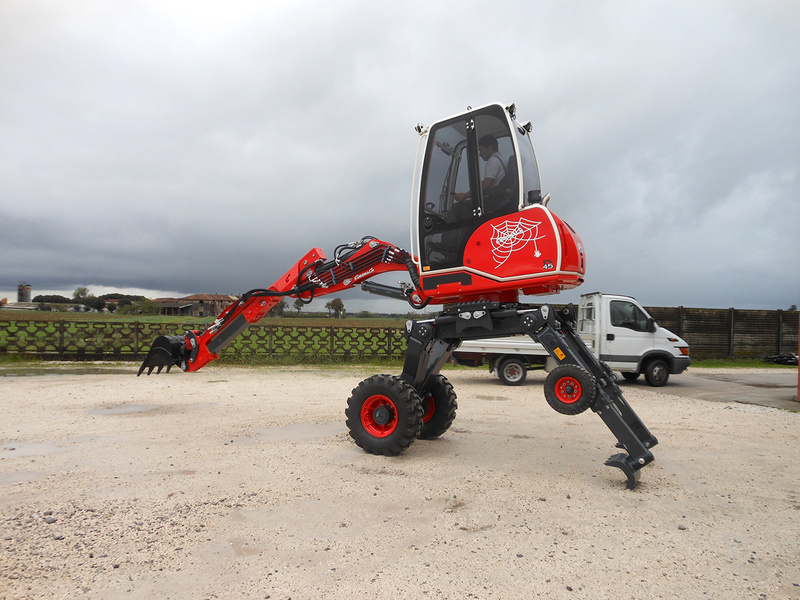 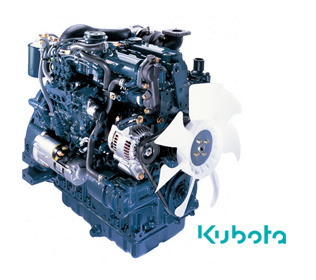 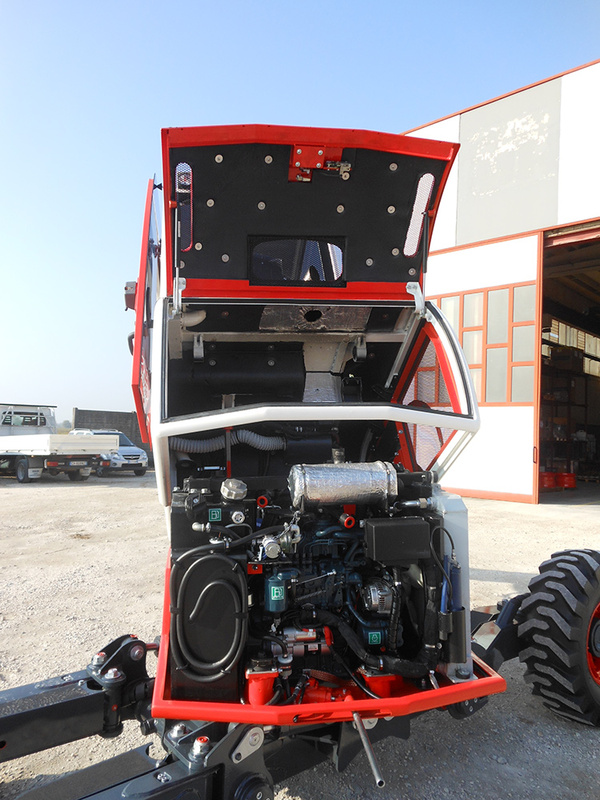 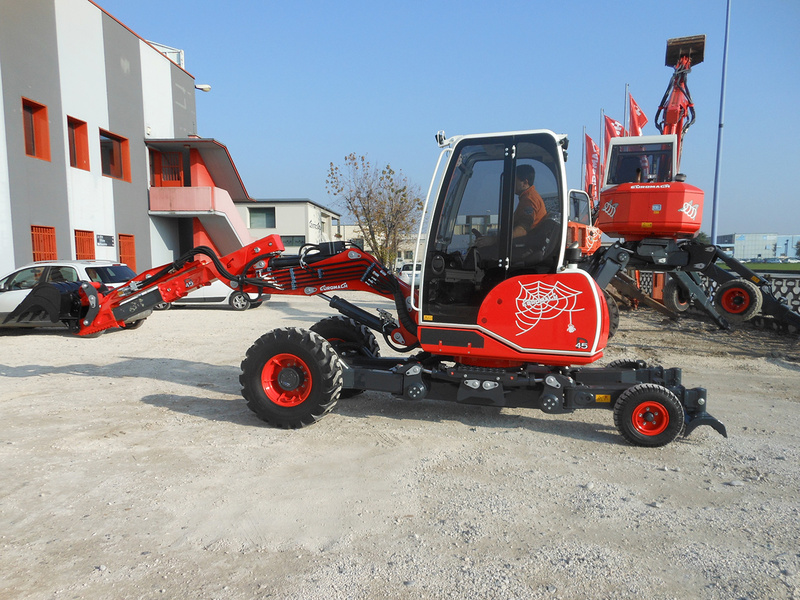 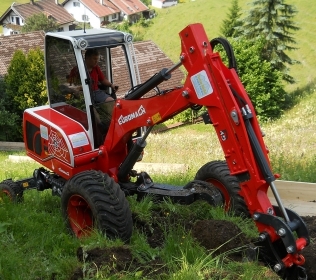 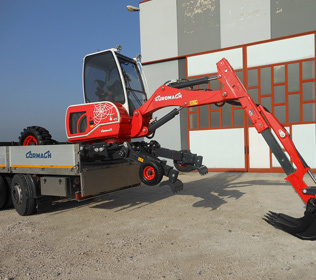 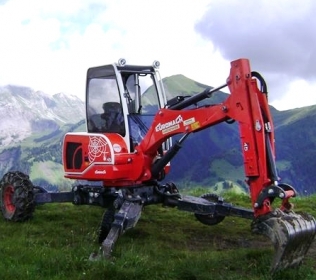 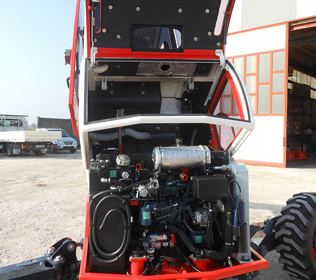 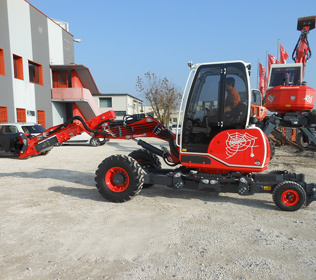 With a weight of 4000 Kg, it can be carried by helicopter and the Kubota engine of 67 Hp has enough power to allow the installation of a forestry mulcher. 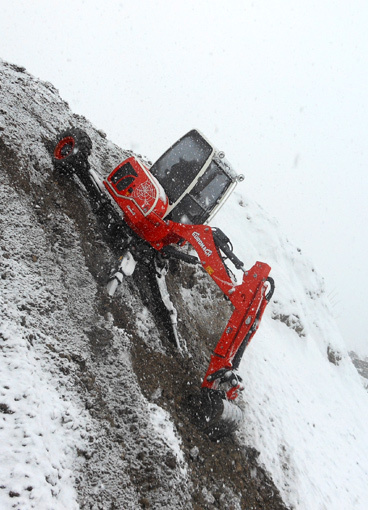 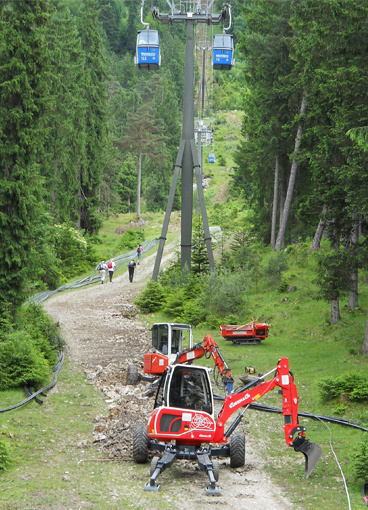 The framework's innovative structure with double junction both in front and rear position translates into less obstacles and more facility during the work in high slopes also covered by snow. 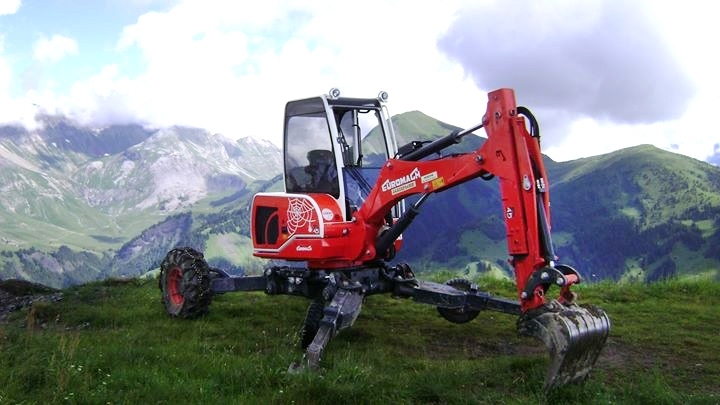 The great excursion of the four legs gives the possibility to keep the cabin horizontal despite the high grade.